Listening to an album for the first time, sometimes it’s the music that get you. Other times the lyrics jump out. 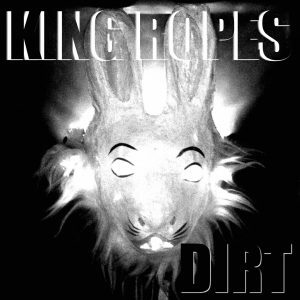 Dirt, the debut album from King Ropes, delivers an overall feeling about it. And that feeling is well, gritty. King Ropes serves up the writing of frontman/guitarist Dave Hollier, and that writing is deep and dark, and speaks of a world where life’s layers are pulled away one by one. Dirt is one of those layers, most times it’s the one where we end up after we’ve lived through all the others. Dirt shovels out equal doses of harsh and soft, sweet and foreboding. As Hollier explained, “I’m interested in the contrasts between urban and rural, eastern and western, sophisticated and raw, sweet and bludgeoning,” Bludgeoning. Now there’s a description that has a lot to live up to. The album begins with “Dogleg Boy,” and its swampy and ominous musical beginning leads us to the opening lyrics, “He’s not some bag of stone, He’s a kicking horse, He’s your flesh and bone.” Nope, this ain’t your little sister’s pop album. 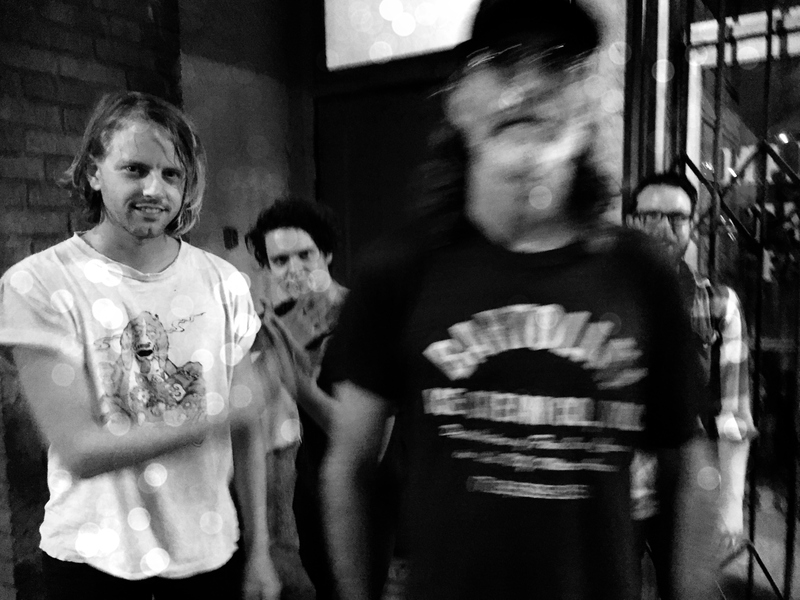 “Lurch On Sister” brings out some distortion and builds up a heavier rock feel as the song progresses. The clear vocal stays on top of the instrumentation crafting a sharp distinction in sound. “International Shortwave” is fascinating on several levels, and really the levels and textures on the album is what Dirt is all about. The song begins as a mournful funeral service with incongruous and delightfully skilled lyrics. “International shortwave flashing neon green and blue. Sign says truckers always welcome, bikers too. Cowboy church on Wednesdays in the church behind the bar. Bottomless cup of coffee and salvation’s not so far.” While the lyrics build, a cacophony of sounds build behind them. “Shovel And A Pickaxe” could be part of the soundtrack to a Stephen King novel. It all seems normal on the outside but what the hell is really going on. “I’ve got a shovel and I’ve got a pickaxe. I’m standing here digging this hole in the ground. I might take something out, I might leave something in there. It just keeps getting bigger as I work my way down.” Something to ponder, don’t you think? As with “International Shortwave,” there is a lot going on in the background. It’s not always melodic, but it sure is interesting. “Low Over Cheyenne” reinforces Hollier’s role of observer and sort of historian. Like most of the songs, it paints a scene, slightly dirty and gritty. Perhaps one born of a hazy memory and a composite of characters Hollier encountered during his life journey from Montana to New York, LA and back to his home state. Dirt is kind of a soundtrack album. It plays out like scenes from a novel or a vignette in a painting. You get to peek behind the curtain, but the whole story is not yours to see. That makes for a compelling journey even if you’re not always sure where it’s leading. Listen to the entire album here on Bandcamp.